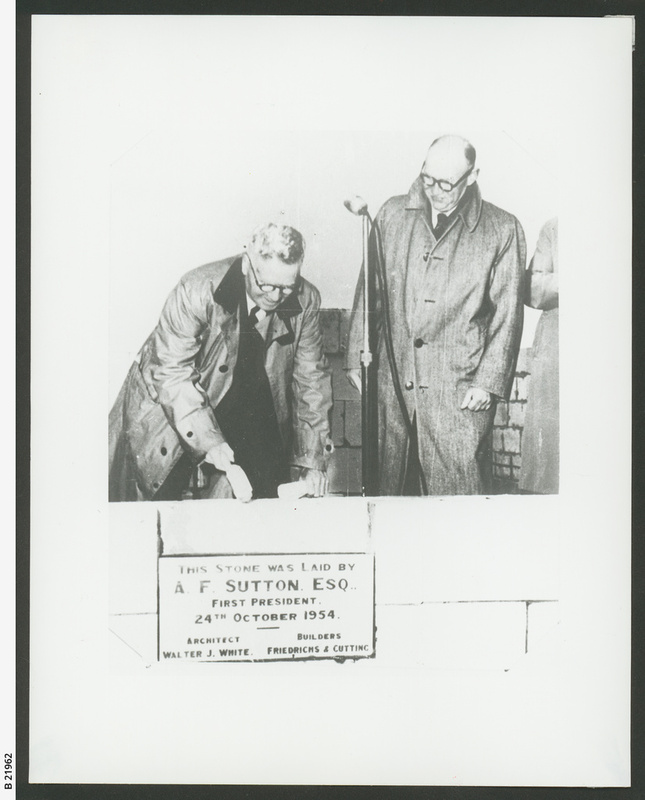 Laying of the foundation stone for Booandik Lodge, Mount Gambier. Mr. A.F. Sutton and Dr.H.R. Hawkins.